Mt Barker Truck and Bus Repairs are located in the Oborn Road Industrial area in Mt Barker, South Australia and is owned and operated by Phil Turner Snr and his son Phil Turner Jnr. our heavy vehicle and machinery customers 24 hours a day – 7 days a week. 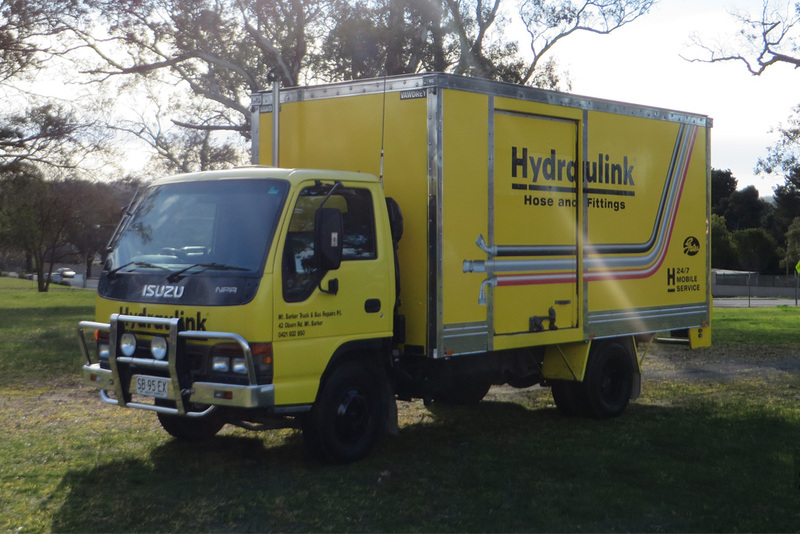 HYDRAULINK MT BARKER provides a comprehensive hydraulic hose service, with a 24/7 callout service. We can assemble new hoses both on site or in our fully equipped workshop. We can also repair hydraulic hoses to all types of vehicles including farm, earthmoving and industrial machinery. Hydraulic hose fit outs are also our speciality. We can plan, design and install anything from a new truck or workshop machinery, and our hose technicians are all qualified diesel mechanics.